This 12-card set is great to use when you teach simple fractions. It includes 6 questions for adding and subtracting with like denominators, 2 questions with fractions of a group, and 4 questions with shading figures. 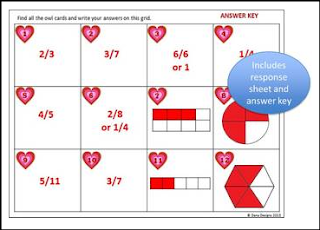 Please remember that your feedback is important and if you enjoy this freebie, you'll love all my other task card sets!